While I seem to be having just one of those days a lot recently, today seems to be a day where things just weren’t going to go my way. You know when you wake up early just to go to the bathroom, stumble to the bathroom and back to bed. Well I did that this morning and while getting back in my bed I managed to slam my head against the wall. Needless to say it hurt REALLY bad, I think I cried while half asleep. That pretty much assured that this day may not go well. Next bit of evidence that today just isn’t my day, I have to do online traffic school by Tuesday. I went to do it on my laptop (and declined on a invite to lay out with my bff) and of course the lame clark county traffic school only works with internet explorer and netscape (people still use netscape??). Since I have a mac (with safari, chrome and firefox, you know the 3 best browsers) I was unable to do traffic school. Instead of lugging out my 8 year old toshiba laptop from undergrad (oh yeah I still have it) I decided I’d just go to campus tomorrow and use the pc’s in my old grad assistant office. After these few mishaps I decided it was best that I post up on the couch watching movies on tv all day, you know like my cousin vinny, cheaper by the dozen, and the holiday. Don’t worry Mom I also looked for jobs, I even applied for one! So today I’m living up to my name and being a lazy girl. I think every now and then it’s necessary, especially when things just aren’t going my way. So it may be in Spanish so I have no idea what it says, but judging by the picture it looks pretty awesome. 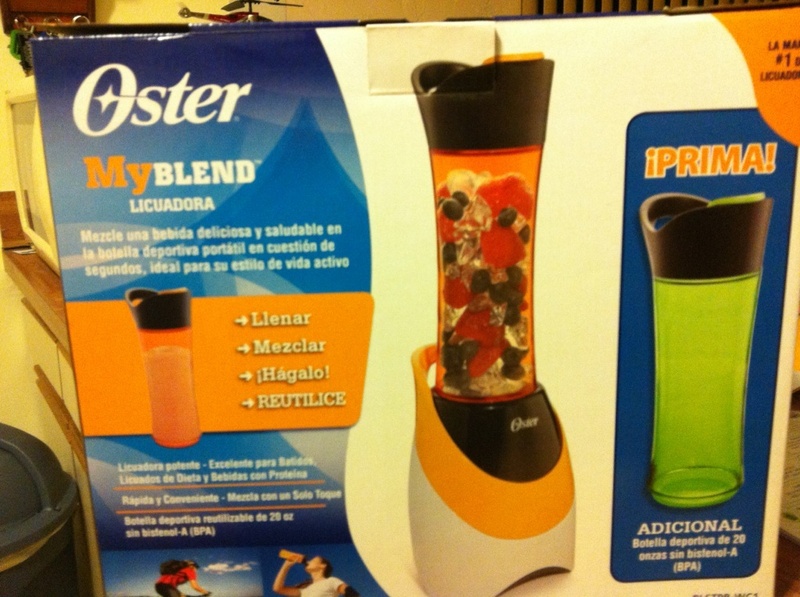 My parents got one of these for my mom today while at SAMs club and I’ve been in the market for a blender myself, so my mom sent the text wanting to know if I wanted one. Since I def did, my mom told me to go pick one up and they would pay for it! SCORE! Thanks Mom and Dad! It’s nice to get some good news to brighten a pretty mehhh day. Off to watch the rest of the holiday and maybe apply for a couple more jobs (if my headache goes away and I can bare to look at the computer anymore today). What do you do when you’re having one of those days? thanks lindsay! enjoy your time in florida! if you can find one near you, try park ave bbq, seriously my fav bbq EVER and its local chain in south florida, that started 5 min from where i grew up.